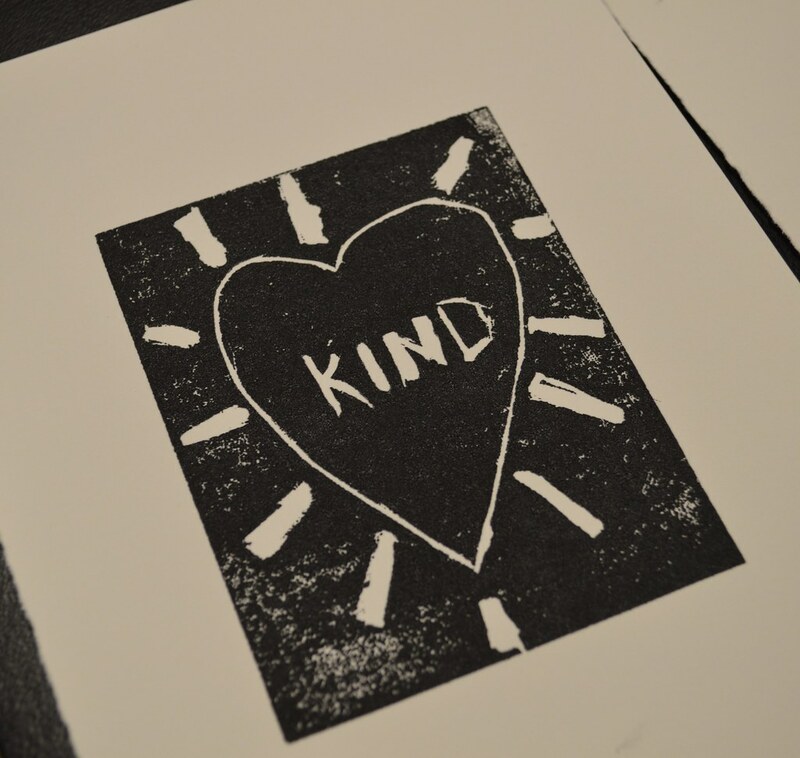 During the 2019 Black Lives Matter at School Week of Action, teacher artist Alex Huttinger offered a week long Social Justice Printmaking (SJP) Workshop at Jefferson Middle School Academy (DCPS). Alex worked in the classroom of Kristen Corliss, a 6, 7, 8 ELA Inclusion/Special Education Teacher. Corliss shared theses reflections on the week. Seeing my students be unapologetically themselves is always a perk of this job. There are so many spaces where they have to censor themselves, hide themselves or make themselves smaller that I was excited when the topic of "Black Joy" was chosen as a creative direction for the kids. Students self-selected to come to the workshop during their lunch/recess for a week to participate in the Social Justice Printmaking Workshop as a part of the Black History Month programming at Jefferson Academy Middle School in Southwest D.C.
Students not only learned about printmaking as an art form but also as a mode of protest. Student self-selection led to a cross-section of students that would not usually work together, bounce ideas off one another, and forget about other social confines that exist not only in society but in school. You could see their confidence grow during the week and their appreciation for one another's talent's and ideas matriculate through the process. The project's culmination of the actual printmaking provided students with a lasting tangible version of their personal protest, one that they were proud of and could share with others. We at Jefferson are very grateful to Alex and the rest of the Teaching for Change team and hope that we can become partners educating for social justice again in the future. Alex Huttinger also offered a Social Justice Printmaking Workshop for teachers.